The North Point Trail is a short, flat, .5 mile loop at the top of the Northern Point. Start of North Point Trail at the end of the Turnaround Parking area by the Homestead Trail sign. Continuing down the gravel path you come to a basalt rock shelf. The basalt columns are loosely connected and steeply drop off into the river canyon below. KEEP PETS ON LEASH AND CHILDREN CLOSE. Peering down over the northern most edge you can see climbers on the routes below. Continuing on the faint trails along the top of the river gorge affords great views. Continuing on the faint paths you pull back away from the gorge. The path gets a bit more pronounced as you wander into the sage and juniper trees. The path is again hard to distinguish at times, but you'll see it lead out to the parking area. A popular climbing area–rock columns along the ridge form a spectacular platform. Views of the river gorge below and the park unfold around you. Birders will want to bring their binoculars to capture the sight of golden eagles feeding their young during nesting season across the way in the Monument area. Speaking of young, keep your children close and pets leashed as you explore the edges of the rim. The columns are not solidly connected, and it’s a steep drop down. 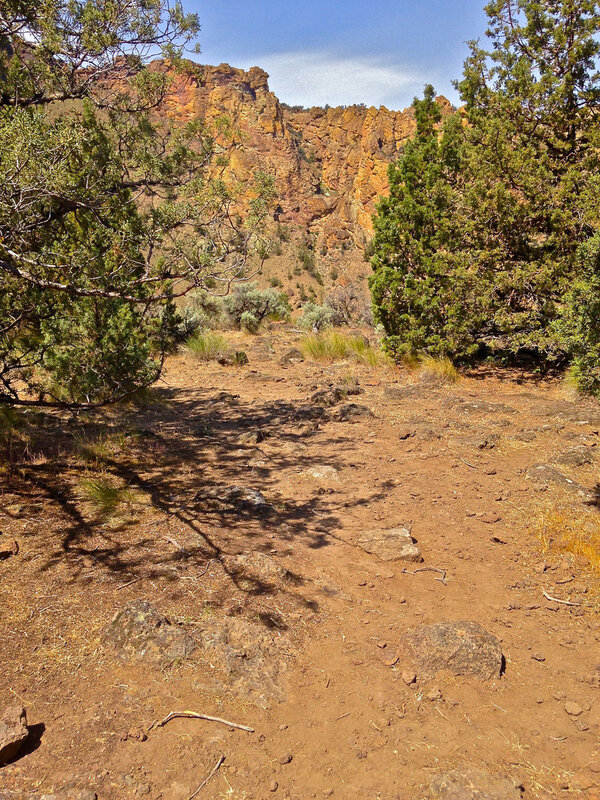 Accessible from the turnaround cul-de-sac parking area as you drive .5 miles past the Welcome Center, the trail meanders around the rim’s edge. Outstanding views abound of some popular climbing areas of the Student Wall to the right along the gorge, Staendar Ridge directly across, and The Marsupials to the far right on BLM land. Take the connecting Homestead Trail for a steep descent into the park. Or stay and check out the amphitheater viewpoint, built after the big fire in the park in 1996.